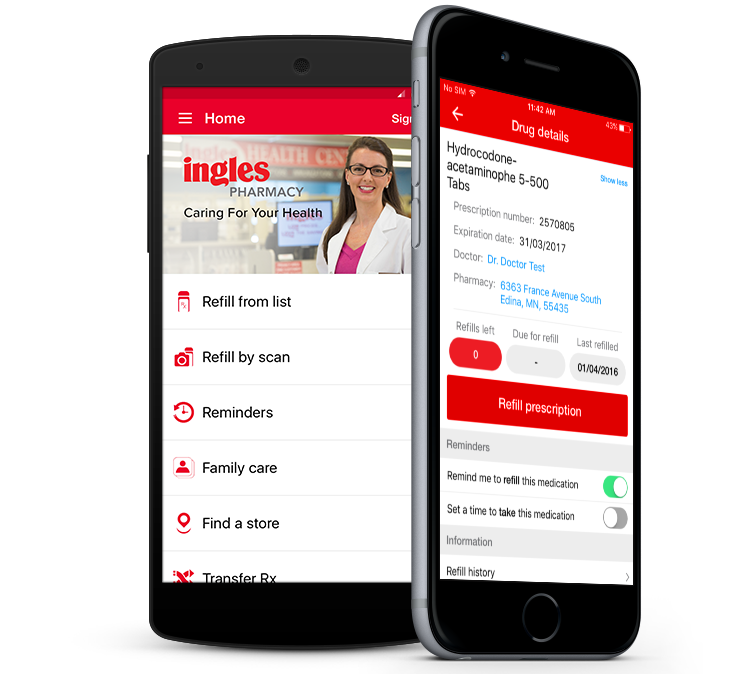 Get the Ingles Pharmacy App! Have an up-to-date list of your prescriptions in your pocket. Refill by simply scanning your prescriptions. Never miss a dose. Get reminders when it's time to take your meds. Get a message when your prescription is ready.